S-Docs works great with the quote, orders and other standard object. Not all organizations have these salesforce features enabled, so they are not configured with S-Docs out-of-the-box. This document will show how to configure S-Docs with the salesforce Quote object, but the same instructions are used with other standard objects that are not included in the S-Docs package. With S-Docs for Salesforce, you have much more power in generating quotes and documents to look exactly as you want them. You can include many more related objects, filter and group your line items, format tables, include multiple logos, insert product images, insert a terms and conditions section and then email your generated quote as an MS Word, PDF or MS Excel file. Since Quotes functionality within Salesforce is not enabled by default, not every org has enabled this feature. To avoid errors and confusion, by default S-Docs does not have quotes configured with the base install package. 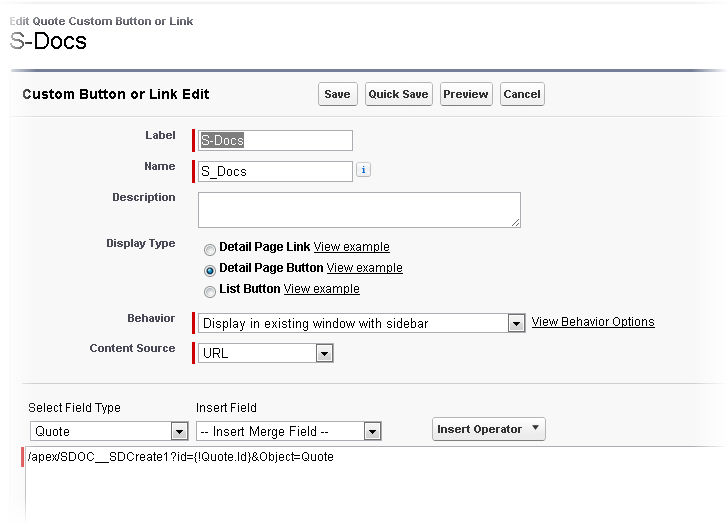 To take advantage of S-Docs with quotes you will need to complete 3 configuration steps. 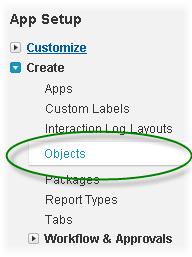 Create a lookup field named “Quote__c” (note the two underscores) on the SDoc Relationship object. Create an S-Docs button and place it on your quote page layout. Detailed instructions are provided below. Once you have completed these, you can create your quote template. We’ve provided a sample template in the appendix of this document that you can copy/paste into your template source. 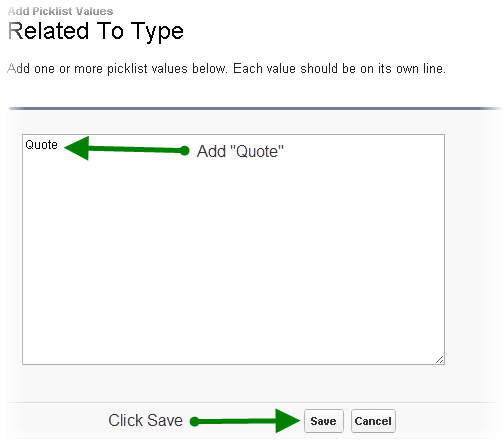 You should now be able to create a template and choose "Quote" from the picklist in the "Related to type" field. Make sure that "Available for use" and "Initially Visible" checkboxes are checked. This step allows you to associate the S-Doc with the Quote object, so that users can see a related list of all S-Docs created related to a quote. Just like using S-Docs with other objects, you need to place an S-Docs button on the detail record layout in order for the user to initiate creating a document. For more information on the one-click and zero-click features click here. As you are dragging the button you will see a green checkbox (indicating ok to drop) once you drag the button to the right of the existing buttons in an area marked "Custom Buttons"
Once you have added the button, save the page layout and repeat steps 2-6 for any other layouts where you would like to add the button. If you already have a quote template created, you can now open a quote record, click on the S-Docs button, create your S-Docs quote and it will automatically be associated to the quote record. The next section helps you create your quote template if you haven’t done so.